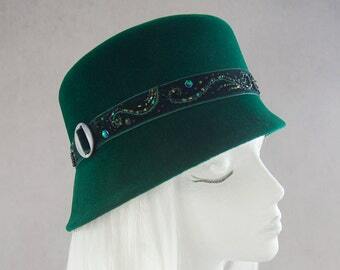 Black wool felt cloche with deep purple burgundy trim. 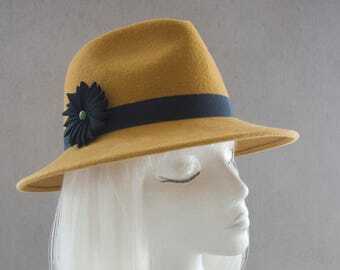 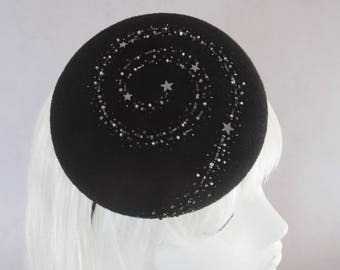 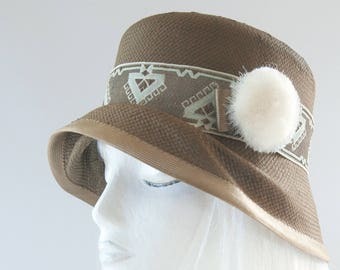 A casual everyday hat for flappers and lovers of vintage style! 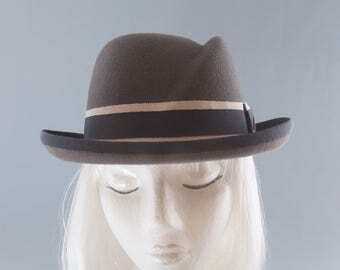 100% wool felt blocked by hand on a wooden hat block. 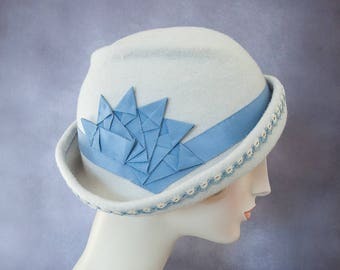 The crown features a free-form pleat for a unique style. 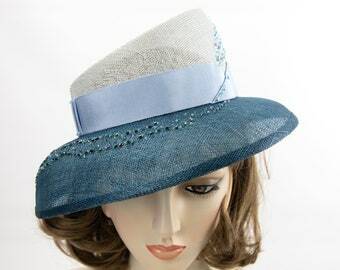 The brim curves upward on the left and drops low on the right. 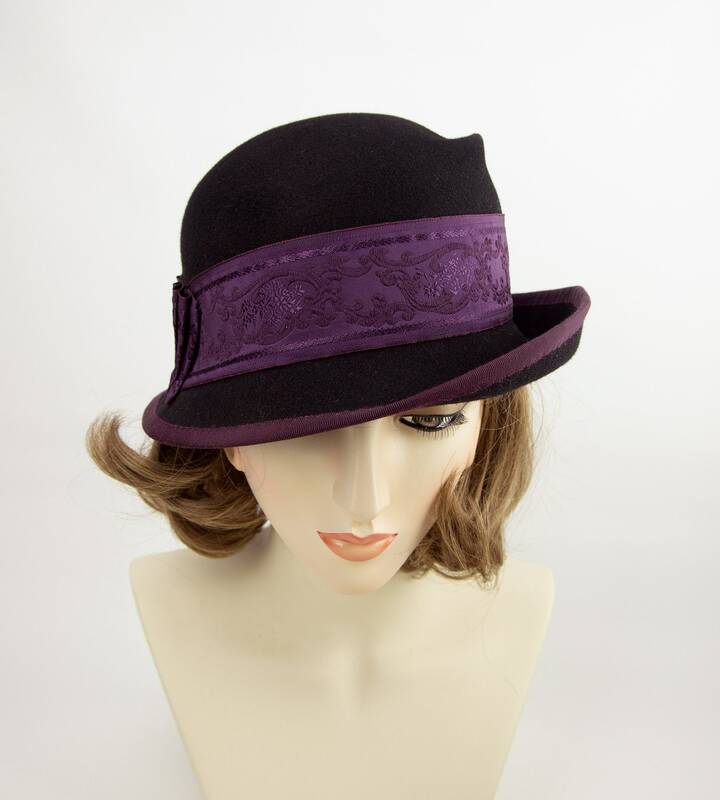 The brim edge is wired to hold its shape and is bound with a purple-burgundy ribbon. 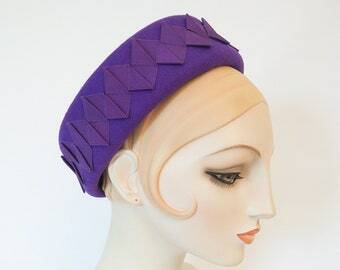 A wide matching burgundy jacquard ribbon decorates the crown and finishes with several pleats on the right. 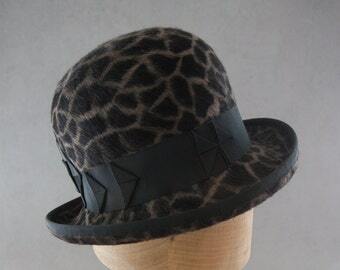 Inside is unlined and finished off with a burgundy grosgrain head-size ribbon and Silverhill Creative Millinery label. 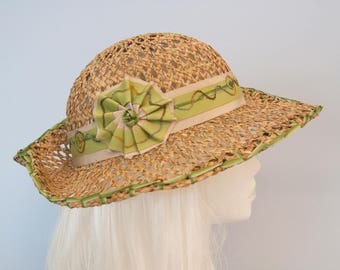 Best fits a 22.5" head size.